MALIBU, CA – The Malibu Library Speakers Series kicks off the 2017 season with Scott Freiman’s “Roll Up! Deconstructing The Beatles’ Magical Mystery Tour,” an innovative multimedia exploration of how the Beatles created their world-changing music, Tuesday, Jan. 31, 2017 at 7 p.m. at Malibu City Hall.“Roll Up! Deconstructing The Beatles” is an engaging multimedia presentation exploring the songwriting and recording techniques used by The Beatles. 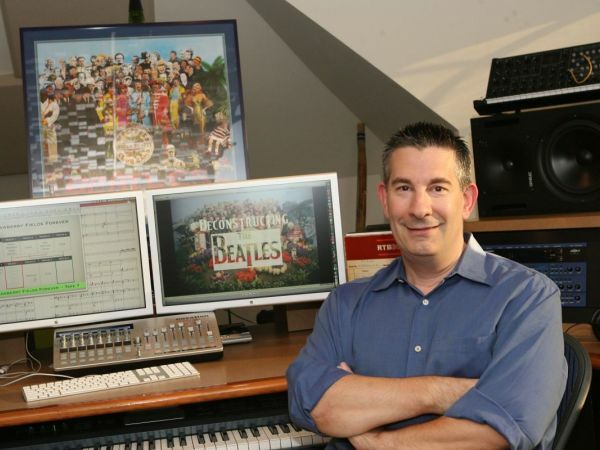 Using a combination of rare audio, video, historical photos, and recording track sheets, composer and producer Scott Freiman takes the audience back in time and into the studio with The Beatles as they create their music.Freiman is an internationally recognized expert and lecturer on the music of The Beatles. He has presented his lectures to sold-out audiences at theaters nationwide and has spoken about The Beatles at colleges, universities, and corporations, such as Pixar, Google, and Facebook. He also taught a course on “The Beatles in The Studio” at Yale University.